Ibrox Noise: Are key Rangers duo under threat? Are key Rangers duo under threat? While yesterday’s display was pretty much as bad as usual, thankfully Kilmarnock, as we pointed out in a recent entry, are off the boil and have lost their way. Put simply they’ve run out of steam and there was no better time to play them. Yes, we were poor, but it got the job done and it kept Europa League alive. Just. However, there are two staff members at Ibrox who must be truly wondering what their future holds, such is the pending change in Govan come four weeks from now. 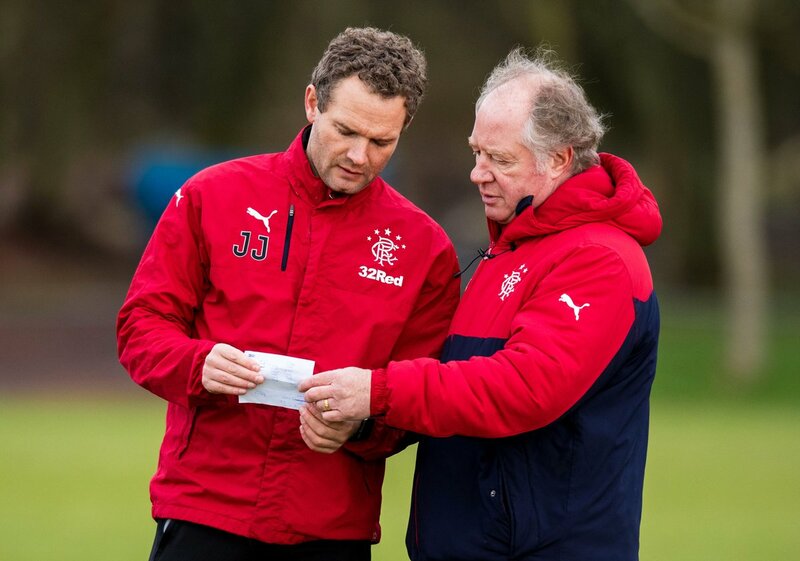 Jimmy Nicholl and Jonatan Johansson, it must be said, have carried themselves rather well through all this – indeed, JJ has been pretty slick from day one under Pedro, while Nicholl would probably have been a better fit for that ‘local assistant’ nonsense outlined for Caixinha. Nevertheless, Nicholl, while not the cheeriest chap at the best of times, was especially downtrodden for yesterday’s pre-match chat and admitted it had been a pretty awful time around Ibrox since the former manager’s departure. But, apparently, things had improved and he conveyed how Steven Gerrard’s arrival ‘should’ give the club a boost. He has subsequently admitted he wants to stick around – he wants to be part of this potentially lively new era at Ibrox. "Of course [I'd love to stay], you expect things are going to be on the up and up. They have got to. The team have got to start winning games, they have got to start achieving things. We have got to stop Celtic winning the league, we know that. How long it's going to take the new manager to get that turned around we don't know. We'll just wait and see." As for JJ? He’s a coach with a bright future. He scouted Morelos for Pedro, and he was previously assistant with Finland till his club came calling – he hasn’t said anything yet, but there is surely little doubt he’d love to be kept on. We have always had time for both these men – Nicholl is a good man and an accommodating one. He’s wise and even though the sunshine isn’t quite pouring from him, he is the type you want in your team. Meanwhile JJ has wisdom beyond his years, and an eye for a player – and he is another who we’d be sad to see leave. It is of course up to Stevie Ger. He is our new manager and he calls the shots. But he will listen to good advice, as he says himself that he has with regards speaking to Graeme Souness, and hopefully he picks the right men whoever they are to be his staff. We shall wait and see if that includes J, and JJ. Sorry , new broom needed as in the Sousness era, the momentum has started, optimism is growing, In England yesterday, The Daily Mail had 3 pages of Gerrard taking over, no disrespect to Moyes, Allardyce etc , perhaps 2 inches would prevail the appointment of either . WATP, just something makes me feel the light has been switched on. It could be that saying to many cooks. Only the best will do simply! JJ on the other hand has paid his wages for several years on the profit we will make on Morelos alone. I would keep him in some form, be it coach, scout, something. Gerrard wont entertain them they will be out with half the team "lets go"